Bags. Before I was a parent, my only conundrum was which designer to choose and which sale to tap up quickly. Then baby number one came along. And long after the changing bag option, came the choices of bags for them as they started childcare, then nursery and then (sob) preschool. If you’re not there yet, there’s a lot of choice out there. So to help, here’s our take on what bags they will need for the different stages of their lives. So, both my kids were a year old when they were packed off to nursery. And guess what? I didn’t have a clue they’d need so much stuff! But, hey, they do. You also need enough hands to carry it all, so think practically. Invest in little backpack that will fit the nappies, wipes and crucial spare pair of clothes, while keeping your tot in check. This Skip Hop Zoolet Mini Backpack with reins is a great option. Big enough for all their kit; it’ll easily fit their little shoulders and means you can keep them close while they walk to their nursery or childminder too. It’s also great for weekends, when they want the independence to run off while you sneakily keep them close. Like the bag but not reins? Don’t worry, this rein is totally detachable. Awesome. Skip Hop Zoolet Mini Backpack with reins (£18). Childminder or nursery ask you to provide your own grub? A lunchbox with plenty of room for milk bottles, snack pots and that finger food is a must. Pick something insulated so you know that their food will stay cool all day, even in stuffy environments, like this A Little Lovely Company Cool Bag. Not only can it fit a range of containers, but you can write their name on the tag, which means no losing it! At around 2 years old, you may either decide to take your little one to a nursery where you can stay and watch them play, or leave them for a few hours (eek). As well as being armed with those tissues, you’ll also need some pretty robust kit. They’ll probably be eating a whole lot more - well, playing and learning is hungry work - so a lunch bag with lots of space for those drinks, sandwiches and fruit bags is a must. This Babymel Lunch Bag is a great option for this stage. Lightweight and with an easy to hold handle, plus there's a loop fastening for hanging onto a buggy. You'll also find a cool ice pack to help keep stuff fresh, while the awesome designs means it’ll become their fave thing to carry around. 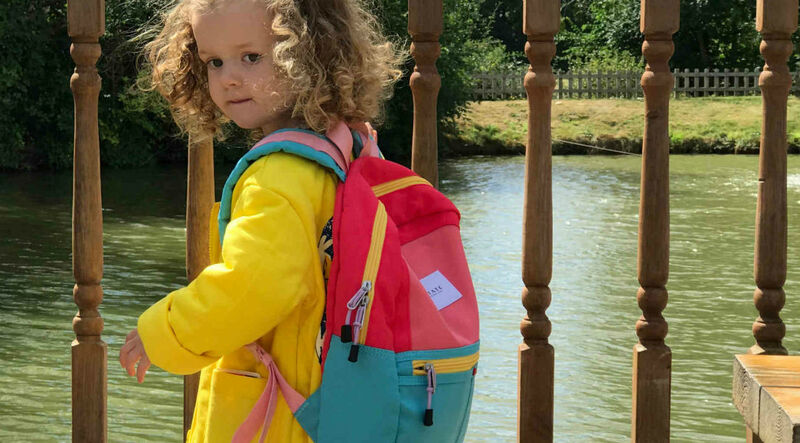 If they’ve outgrown that bag with the reins, then investing in a backpack that will fit those spare clothes and wellies means less stuff to forget on those early morning nursery runs. 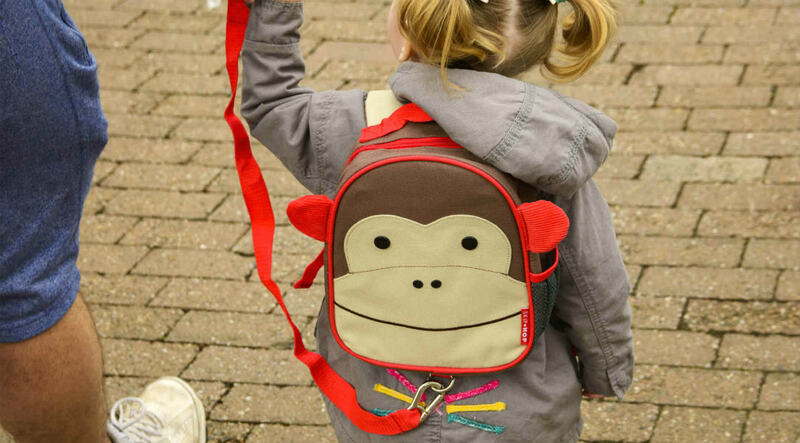 We love this Skip Hop Zoo Kids backpack. It's colourful, creative and cavernous inside. It’s also big enough to fit a lunch box, spare clothes and wellies, with a mesh pocket to keep those paint splattered clothes away from the spares. And, it’s also small enough for them to handle too. Bonus. 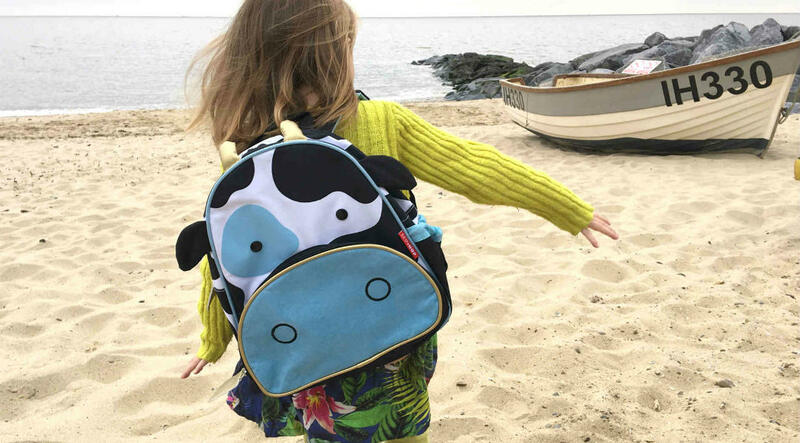 Skip Hop Zoo Kids backpack (£20). Hey, did you know, that all three to four year-olds in England can get free early education or child care. This means that if your little ones don’t already go to a childminder or nursery, now’s the time to start them off. Because most nurseries ask you to provide lunch, give little ones confidence and build up the excitement, while sneakily making your life easier, with a lunchbox that looks cool and is easy to hold. We love this monbento Tresor Kids Bento Box. Featuring removable compartments for customising meals, this little gem can also be customised meaning it won't get mixed up. Awesome. And with a nursery or preschooler comes the need for a cool bag that can hold, well pretty much all their stuff. Think lunch boxes, pencil cases and books that they can read on the way home after a couple of hours of play. This STATE Bags Mini Kane Colour Block Backpack features a spacious main compartment with plenty of room for books, snacks and toys. For every bag you buy, the brand gives one back to disadvantaged children too. Perf! STATE Bags Mini Kane Colour Block Backpack, £60. So there we go guys, a definitive guide on what bags they’ll need from when they’re tiny to big preschool kids. We won’t tell if you decide to use the backpacks too... Honest 😉.